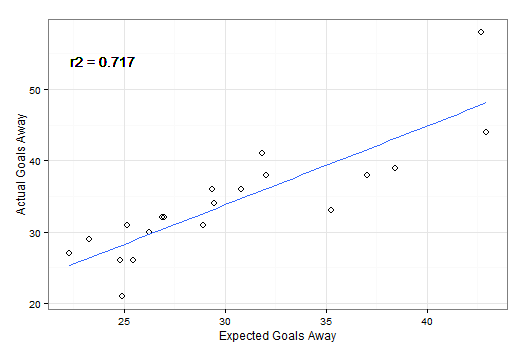 The correlations look pretty good, 0.86 for goals for and 0.72 for goals away. I’m not sure yet why the correlations differ slightly for home / away and whether it means anything or is just down to noise in the data but I’ll keep an eye on that as I collect more shots over the course of the season. 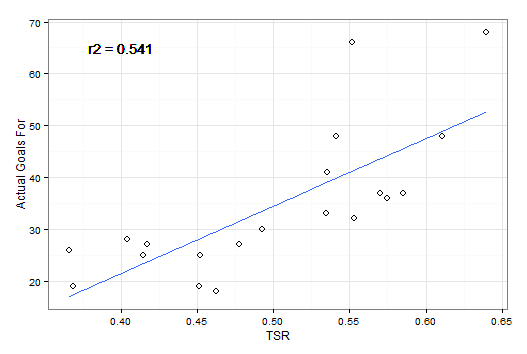 Another question that popped up a few times was whether my expected goals correlated with actual goals better than Total Shot Ratio (TSR) does and the answer is yes it does. 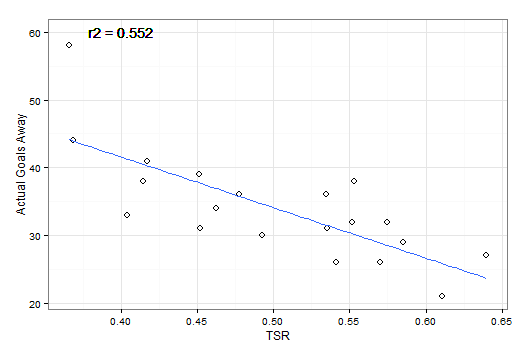 This is to be expected really as expected goals account for shot location while TSR considers all shots to be equal when clearly they are not – a shot from one metre out is vastly more likely to lead to a goal than a shot from 20 metres out. 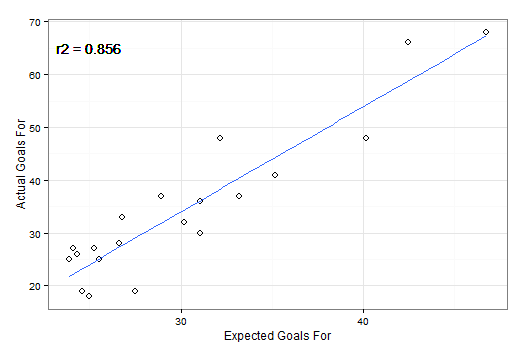 There is still a heap of work to do to improve / optimise / characterise the expected goals model further but it is a promising start for it so far. I’ll post more updates as as I progress with the model’s development over the coming weeks.